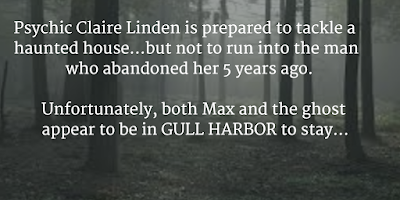 GULL HARBOR at #1 on #Kindle and #Nook! 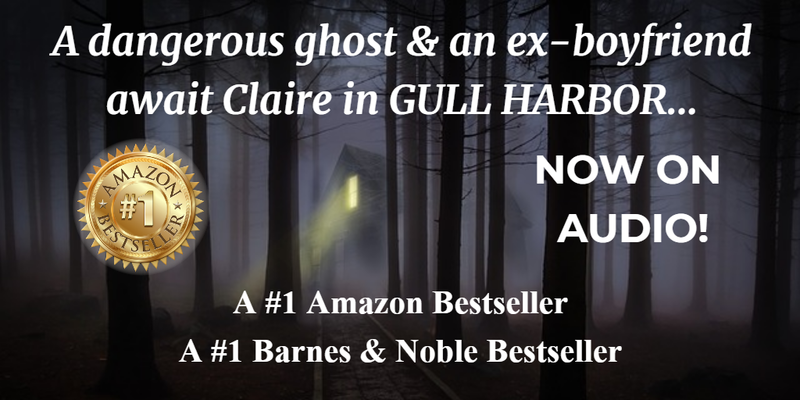 Romance + Ghost Mystery #BookBub Sale #99c #Book Deal! September of 2018 was crazy busy for me as I typed frantically to meet a deadline, and it was also a month of some disappointing and upsetting news for a few members of my family, which really had me stressed and depressed. All in all, not a great month, but one of the highlights was my novel getting selected for a October BookBub feature. BookBub is a very discerning site promoting deals on books they handpick from all the potential applicants, and because they choose their features so carefully, their selected titles usually do very well in terms of sales. 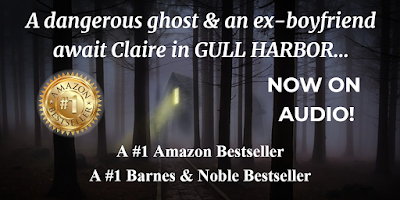 The last time my romance/ghost mystery, Gull Harbor, was chosen, it hit #1 Bestseller status on both Amazon and Barnes & Noble at the same time, in multiple categories on each site! Plus, it drew the attention of an audiobook narrator, who contacted me about her interest in recording the book for audio. We were able to work out a deal with my publisher, and I absolutely love the way it came out. So much so, that we went on to contract with her to record another title of mine, Haunted Souls. 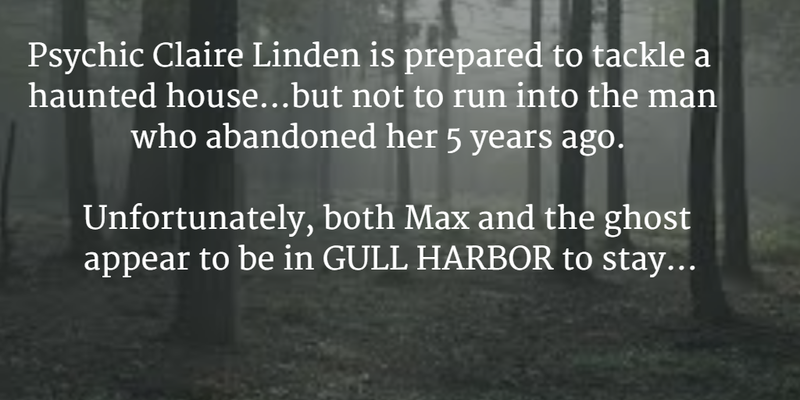 (See Gull Harbor on Audible here). 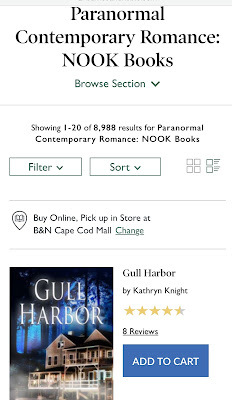 I wasn't sure if I'd get similar results this time...but then again, October is a great month for spooky suspense! So on Wednesday, when the feature came out, I held my breath...and once again, it made it to #1 on both sites! 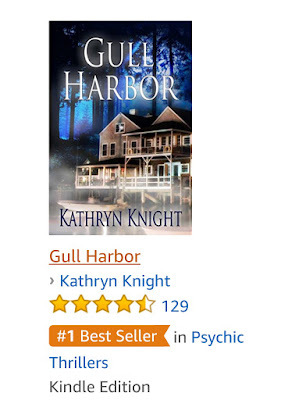 The site of the orange banner in both Psychic Thrillers and Psychic Suspense definitely gave me a much-needed lift. It didn't last forever, of course, but I grabbed some screen shots while it did! My biggest hope, of course, is that the readers who purchase my book enjoy it. That's really what it's all about, and that's the sole reason I decided to pursue a writing career...there are few things I enjoy more than getting lost in a page-turning story. Reading is my absolute favorite form of relaxation and entertainment, and my goal is to provide that for my fellow readers with the stories that come to life in my very active imagination. 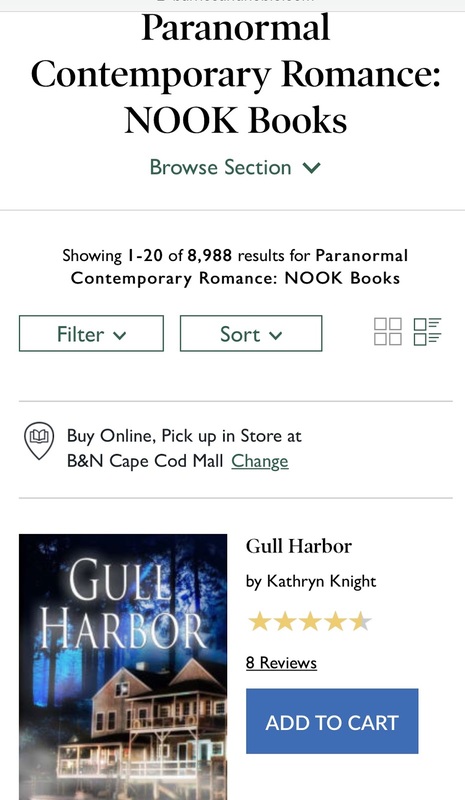 Since I love both the roller coaster of emotions that come with romance as well as the chills and thrills of spooky suspense, I try to combine those two elements into hard-to-put-down reads.